Medium sized warbler. Rather yellow in plumage, with olive upperparts, darker, pale-edged flight feathers and tertials, with yellow-white underparts and supercilium. Legs and bill variable, usually pale brown or orange. 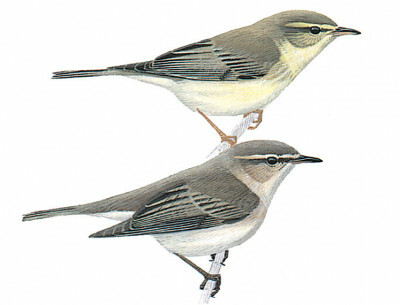 It has a longer primary projection than Chiffchaff. 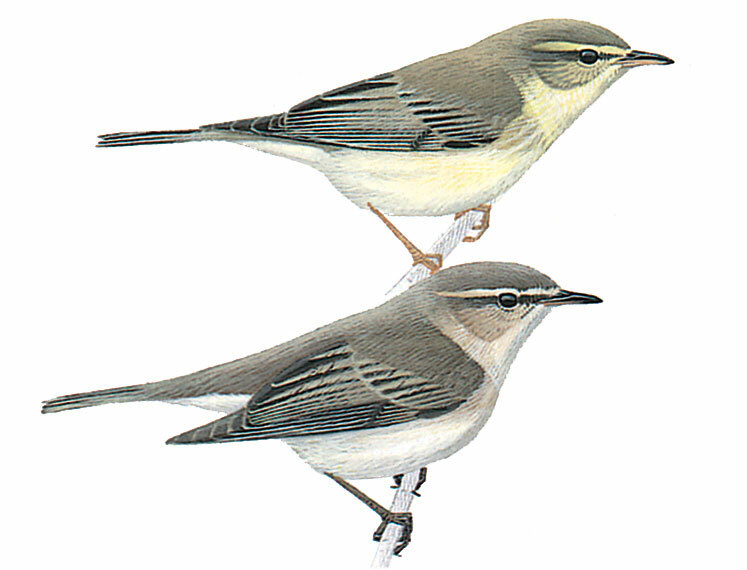 Differs from Chiffchaff with brighter, more yellow and green appearance, longer, broader supercilium, contrasting yellow throat and breast, pale legs and bill, and less tail dipping.